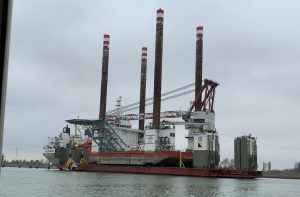 Seajacks’ self-propelled jack-up vessel Zaratan has departed for Taiwan ready to begin installation of the Formosa 1 Phase 2 offshore wind project. Zaratan will install all 20 Siemens Gamesa SWT-6.0-154 turbines on the 120MW wind farm in the Taiwan Strait in what is the first renewables contract for Seajacks outside Europe. The project is located around six kilometers off the west coast of the Miaoli district with water depths ranging between 15 and 30m. The turbines will be installed on monopile foundations. Before the departure, SMC completed a full inspection of the self-propelled jack-up vessel. The Formosa 1 Phase 2 offshore wind farm is expected to be fully built in the second half of the year and fully operational in 2020.